The fascinating Japanese tea history reveals how a Chinese import - green tea - became the Island's favorite beverage. Tea originally spread from China to Japan. However, over the centuries, the Japanese have created their own unique tea drinking traditions. Tea first came to Japan in the 8th century, brought back by Japanese diplomats visiting China. Although tea may have been known in Japan before then, it is during the 8th century that we first have written records of it being served in Japan by the Emperor Shomu. Also, during this time period, two Japanese monks, Kukai and Saicho, spent years studying Buddhism in China. One or both of these men are believed to have brought back tea seeds when they returned home. During this period, tea was only available to a select few: Buddhist monks and nobles. In the 12th century, a monk named Myoan Eisai made frequent trips to China to bring back tea seeds. Eisai was a big believer in the health benefits of green tea, he wrote a book about called "Tea Drinking for Good Health." Thousands of years later, science has caught up with him - drinking tea is really good for you! Eisai was a big believer in the health benefits of green tea, and he wrote a book on the subject called "Tea Drinking for Good Health." Thousands of years later, science has caught up with him - drinking tea is really good for you! Tea drinking spread beyond the temple and the palace, becoming popular with warriors and aristocrats alike. One consequence of this was that drinking tea began to lose its spiritual significance, and instead became associated with wild parties and tea drinking contests. Tea master Murata Juko sought to bring tea drinking back to its spiritual roots. Juko built the first stand-alone tea house for the retired general Ashikaga Yoshimasa. The teahouse, a simple hut surrounded by trees, was meant to be a place where one could drink tea and engage in spiritual contemplation, without the distractions of the everyday world. The tea ceremony tradition was further developed by Takeno Joo. Joo emphasized the importance of fellowship between the hosts and the guests, expressed by following 12 precepts of good conduct during the tea ceremony. Finally, tea master Sen Rikyu further elaborated on the etiquette of the tea ceremony, emphasizing the importance and difficulty of performing the ceremony to perfection. He believed that the concentration and effort involved in conducting a tea ceremony was a type of meditation. 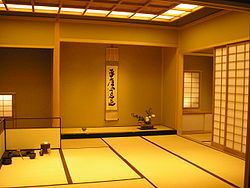 He also had a big influence on the aesthetics of the tea ceremony, favoring simple, rustic utensils and decorations. By the end of the 16th century, the elaborate ritual known as the Japanese tea ceremony had been established. The tradition of chanoyu is still practiced in Japan today. However, during the 17th century, a new tea drinking tradition became popular among the Japanese intelligentsia. Reacting against the formality of chanoyu, these intellectuals began drinking loose leaf sencha tea in a much more informal sencha tea ceremony. The main advantage of sencha drinking was that it did not require advance preparation, so it allowed for the spontaneous enjoyment of green tea among friends. Although a sencha ritual did develop, the main purpose was to ensure that the tea was brewed with the best possible flavor. The sencha ritual was also associated with appreciation for Chinese art, philosophy and scholarship. Drinking sencha became increasingly popular, whether in a formal "sencha" ceremony or among groups of friends having lively discussions. The modern method of processing sencha consists of steaming, rolling and drying the leaves, and was invented in 1740 by Soen Nagatani. 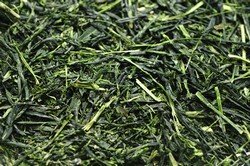 Today, sencha is the most popular type of Japanese green tea. These days, the Japanese consume 80,000 tons of green tea every year. Japan is famous for its fine green teas, especially sencha and matcha. 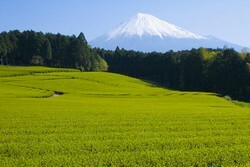 Green tea cultivation in Japan relies more on modern technology and machines than green tea production in China does. Hand-picking tea leaves is much less common, and most tea is processed by machine in factories. This makes production much more efficient, ensuring that Japan never runs out of its national beverage. Wikipedia. History of Tea in Japan. Graham, Patricia Jane. 1999. Tea of the Sages: The Art of Sencha. University of Hawaii Press, Honolulu.